Sean Rafferty presents a lively mix of music, conversation and arts news. 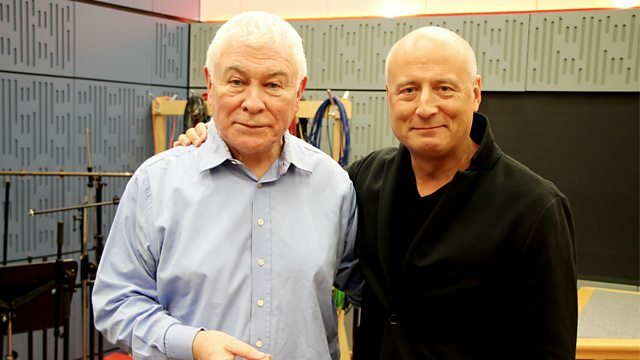 Sean's guests include conductor Paavo Jarvi, pianist Pavel Kolesnikov and the Doric String Quartet. Sean Rafferty presents a lively mix of music, conversation and arts news. His guests include Paavo Järvi talking about his new disc of Sibelius symphonies, pianist Pavel Kolesnikov, who performs live for us and looks forward to his debut recital at the Southbank Centre's International Piano Series. Plus the Doric String Quartet perform live before giving a concert at Wigmore Hall in London this weekend. Conductor: Neeme Järvi. Orchestra: Philharmonia. Performer: Paavo Järvi. Performer: Orchestre de Paris. Orchestra: BBC Philharmonic. Conductor: Mark Heron. BBC Recording - Wednesday 9th January 2019. Performer: Richard Egarr. Ensemble: Academy of Ancient Music. Director: Richard Egarr. Performer: Claire Jones. Orchestra: English Chamber Orchestra. Conductor: Paul Watkins. Composer: Nitin Sawhney. Performer: Nitin Sawhney. Studio Session (Recorded for BBC Radio 3 Music Planet).